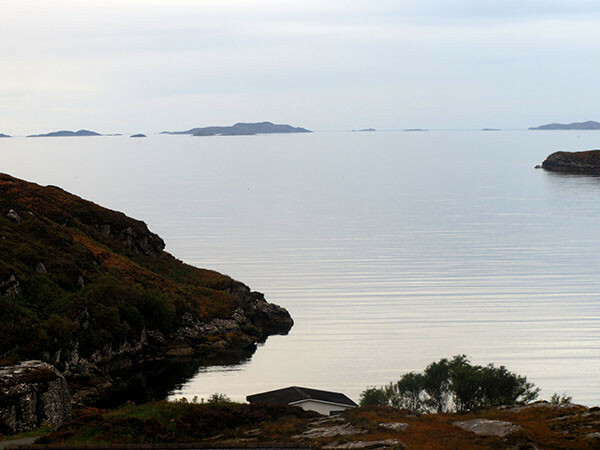 We have two self-contained bungalow-style chalets individually sited in the south-east corner of this most beautiful bay with its’ sweeping curves, Dal-na-Mara and Ruigh-na-Mara. 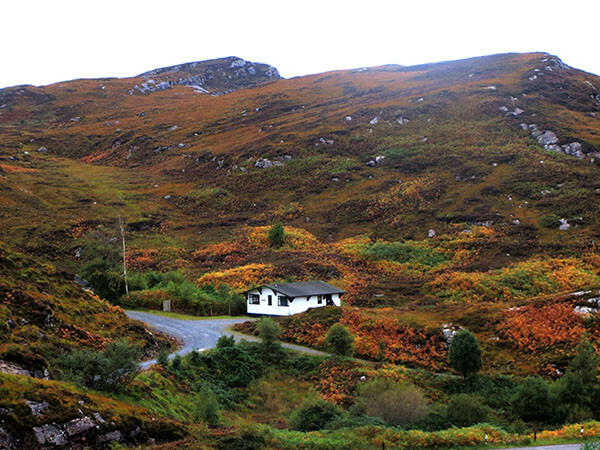 The chalets are all situated on individual private sites nestled into the hillside. 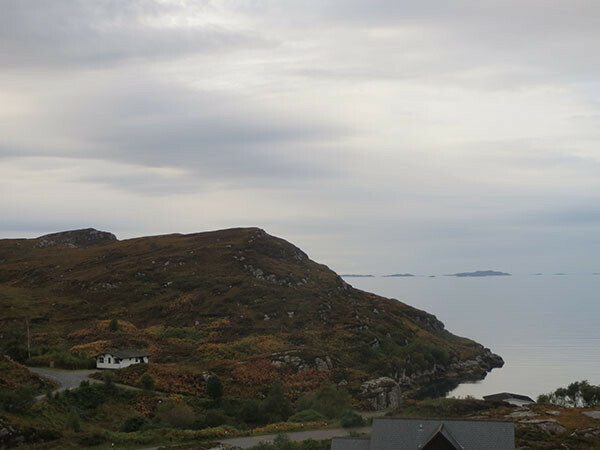 Each chalet has magnificent, uninterrupted views of Ben Mhor Coigach and ruighthe Summer Isles, directly overlooking Isle Martin. 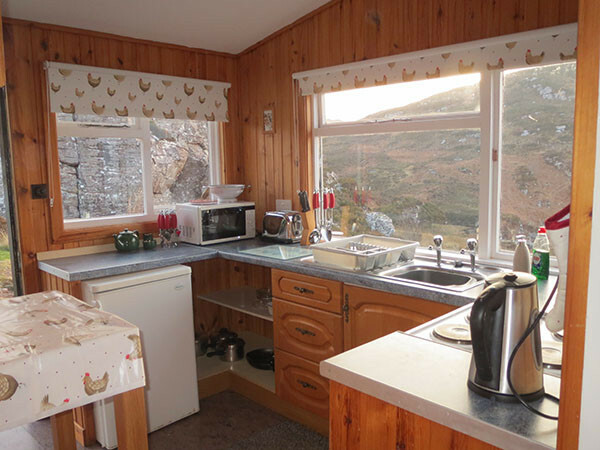 Both our chalets have three bedrooms and sleep up to either 4 or 5 persons. 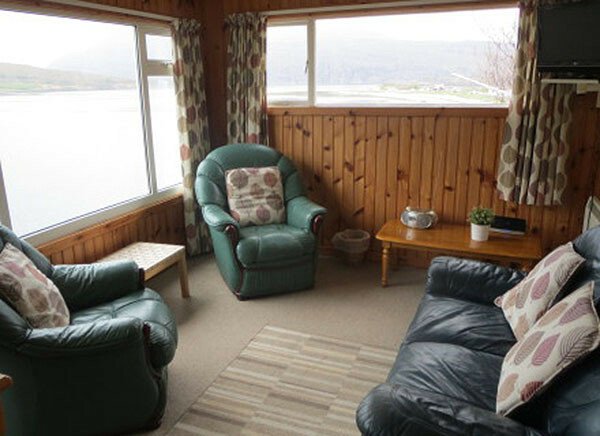 Dal-na-mara has one double bedroom, one twin bedroom and one single bedroom sleeping five people. 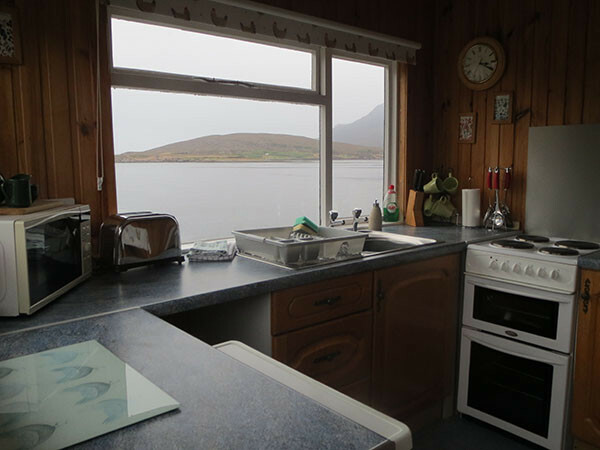 Ruigh-na-mara has one double bedroom and two single bedrooms, sleeping four people. 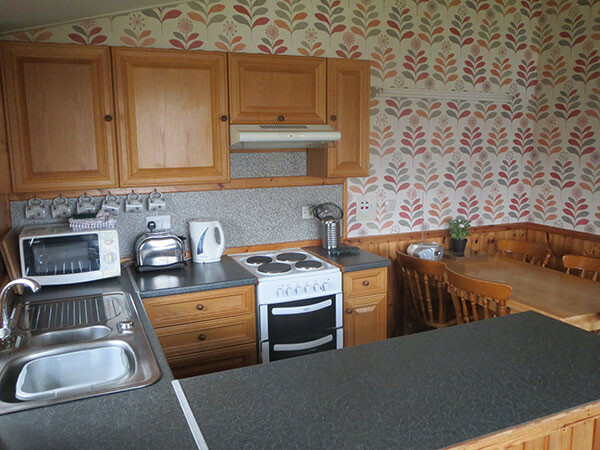 The chalets all have an open plan living room, kitchen and dining area. 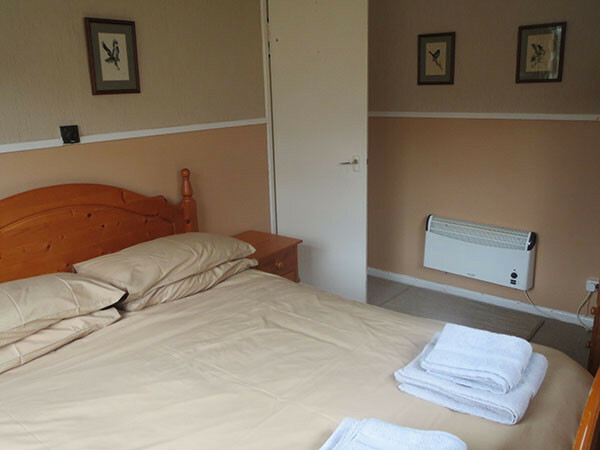 The bathroom in each chalet has a wash hand basin, toilet and a bath with an overhead electric shower. 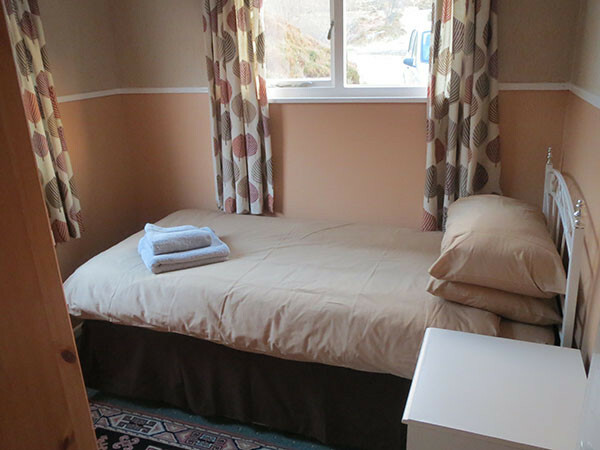 Rates for chalets start at £320 per week. To make a booking enquiry select the start and end dates from the calendar below and fill out the contact form that appears. 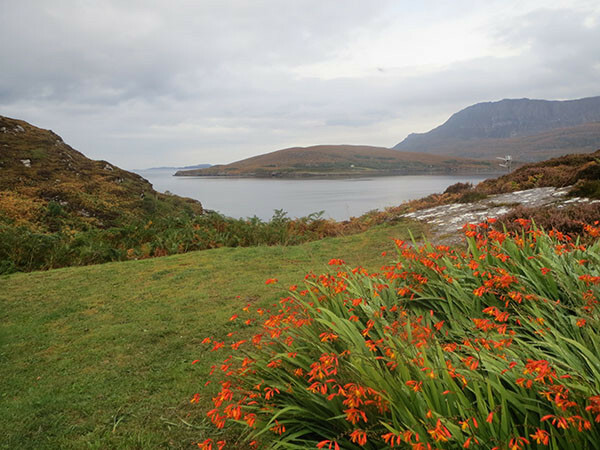 Alternatively you can contact us directly. 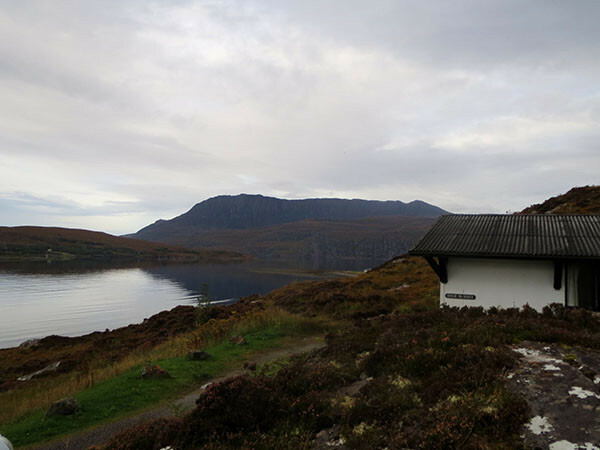 Private parking is available at each chalet. Electricity is by £1 coin operated meter, which also powers the electric heaters.